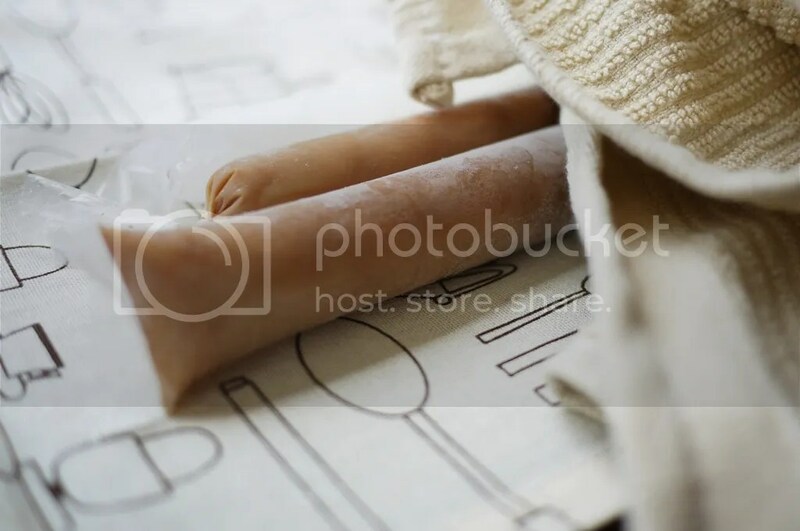 This entry was posted in Food & Recipes and tagged dessert, filipino, frozen, fruits, lemon, milk tea, snack, summer, sweet. Bookmark the permalink. Thank you! 😀 I like Chatime, though I prefer Gong Cha more. It has been a while since I last had milk tea but there was a time that my mom and I would have it almost every day! 😀 I hope you like the recipe! nice flavors you have here for this month’s theme! 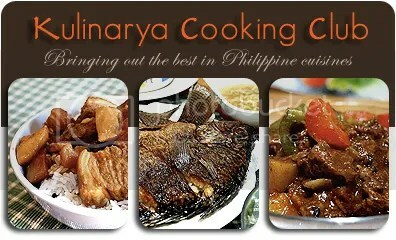 Welcome to Kulinarya!! Lovely post that brought so many sweet memories of summers back home. Love the flavor combos, too! Looking forward to cooking with you in future challenges! Wow it’s been a while since I’ve had ice candy. I had a few stints at selling ice candy back in the days. I remember how they messed up the freezer when the bag pops. I love these flavors you’ve made. Lemonade never fails to refresh but there’s something comforting about milk tea in whatever form. Good job, Gio. 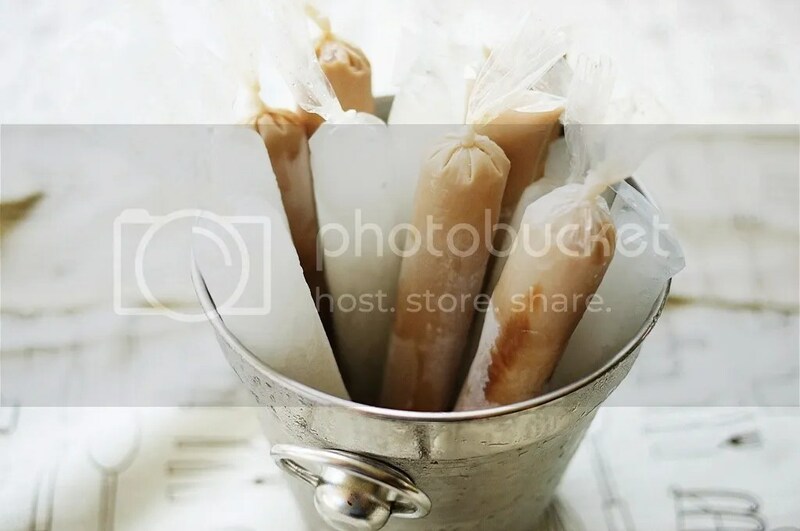 It’s really nice if you make ice candy at home no? the ones that you can buy outside is usually artificially flavored. I would really enjoy the lemonade flavor! Pahingi naman ng ice candy mo! 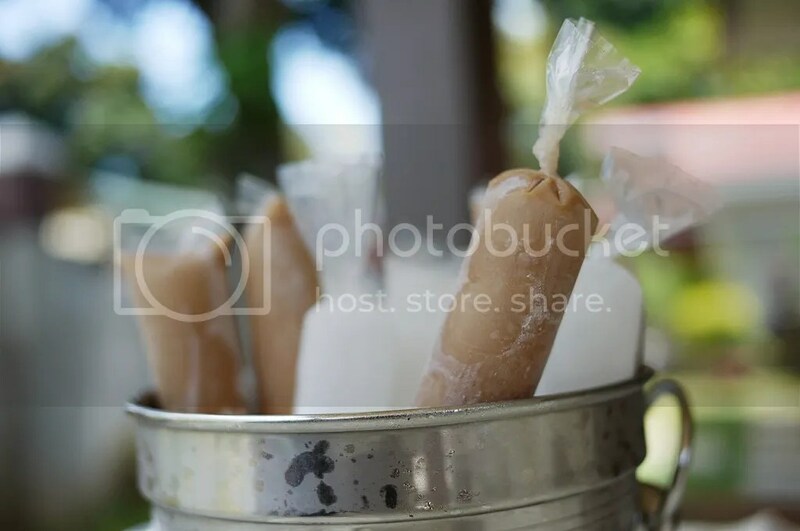 Nagtinda din ako ng ice candy nung bata pa ako, and tama ka, chocolate ang pinaka-mabili! Last na uwi namin sa Pinas several weeks ago, gumawa ako ng mangga. Mura kasi dahil uso ang mangga that time. 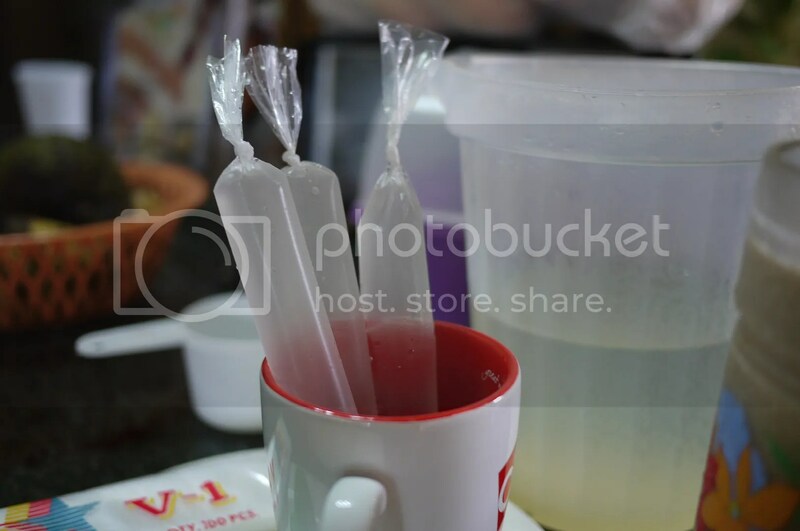 Sayang, di ako nakapagdala dito ng plastic pang ice candy. P.S. Nagtry din ako gumawa ng milk tea kasi naadik ako sa Gong Cha, pero fail hehe. Green tea kasi meron kami, mas masarap pag black tea. haha sayang this won’t survive the trip! Green tea can be used naman for milk tea, kaso yung flavor na tumatak talaga sa akin, yung black tea. Fail din yung attempt ko with Earl Grey. 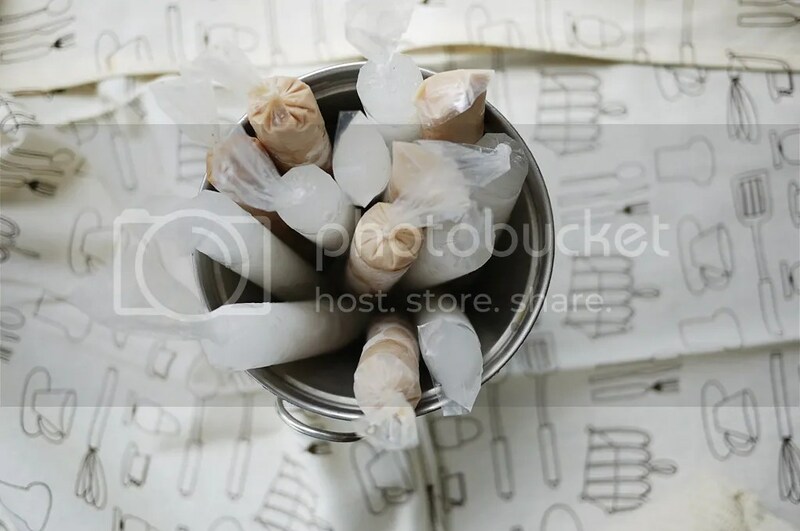 hahaha I chanced upon a Kulinarya blog who bought ice candy wrappers from an online filipino store, maybe you can try there. O pwede din magpadala ka nalang. hahaha! Milk tea is one flavor I haven’t tried…thanks for the brilliant idea, Gio! Lemonade makes a simple but truly refreshing ice candy and I love it! Lemonade makes simple but truly refreshing ice candy! Milk tea is one flavor I haven’t tried…thanks for the brilliant idea Gio! I think you would! 😀 Ice candy does bring back better, lazier childhood summers. 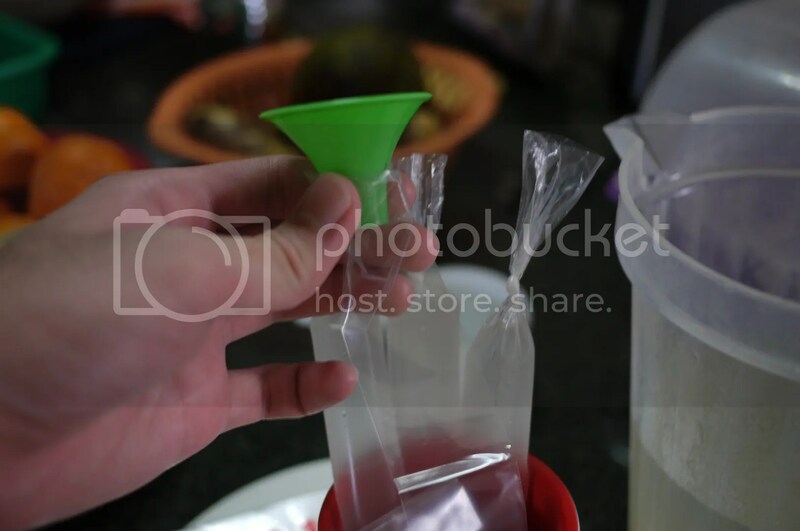 Wow I miss this, I hope I can buy those type of plastic bags here. 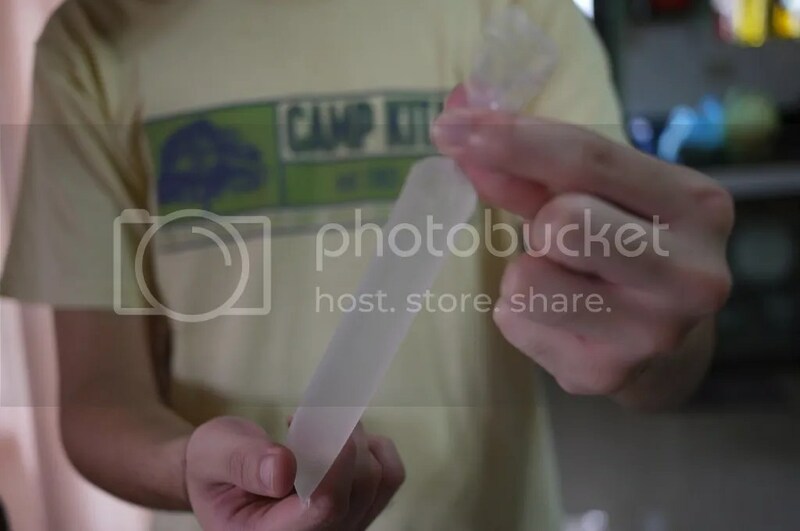 I found some of the plastic Ice Candy bags on e bay last week. Made some for easter and everyon loved them! I’m glad they did! congrats! OMG! Love this! Brings me back!!! OMG! Love this! Brings me back! Awesome recipe! 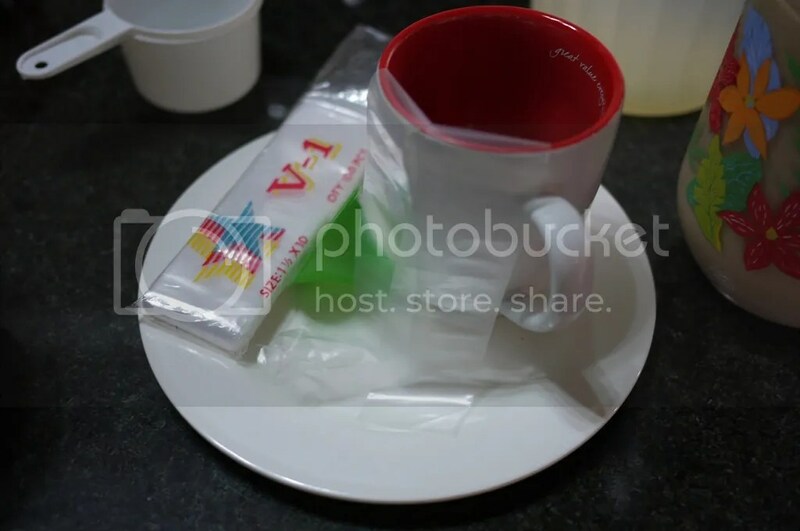 I will definitely be trying the milk tea one … any ideas on where one could pick up some of those plastic tube wrappers?? Unfortunately, I’m in New York, not the Philippines, but I still may stand a chance … it’s a big city! hahaha! Good luck with that! 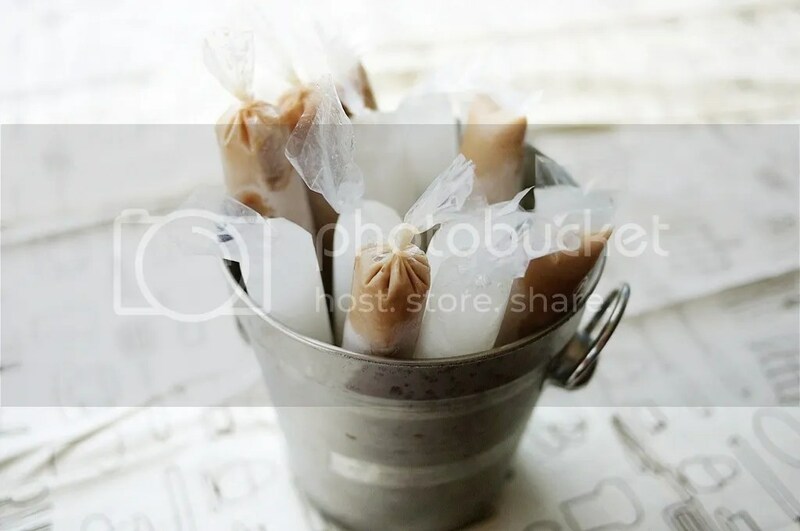 Wow, what a brilliant idea for the milk tea ice candies! Great job! “Summers are more fun in the Philippines.” I couldn’t agree more! 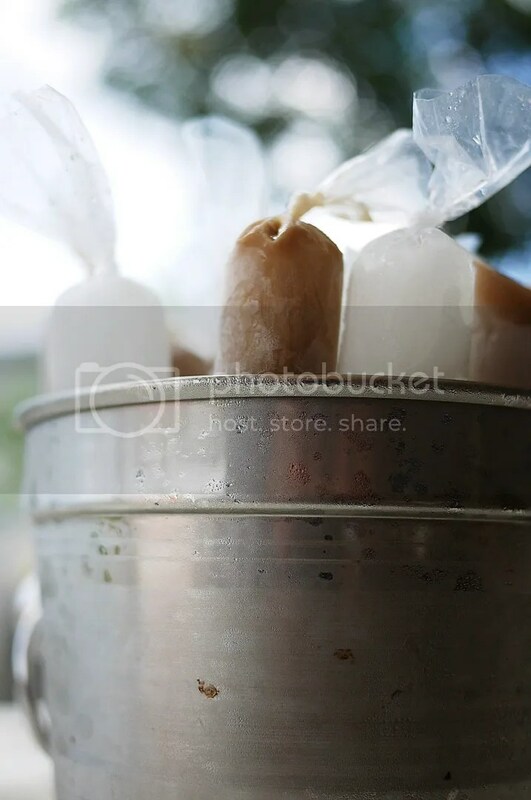 I’ll take one of those milk tea ice candies anytime, that’s more my type of frozen delight. Milk tea isn’t just a craze/fad for me, so I wouldn’t mind having it anytime as well! haha! Planning a big shindig here in NY next late April/Early May if nice weather holds. Can’t wait to have put these on the table. I’ll bet they go fast! 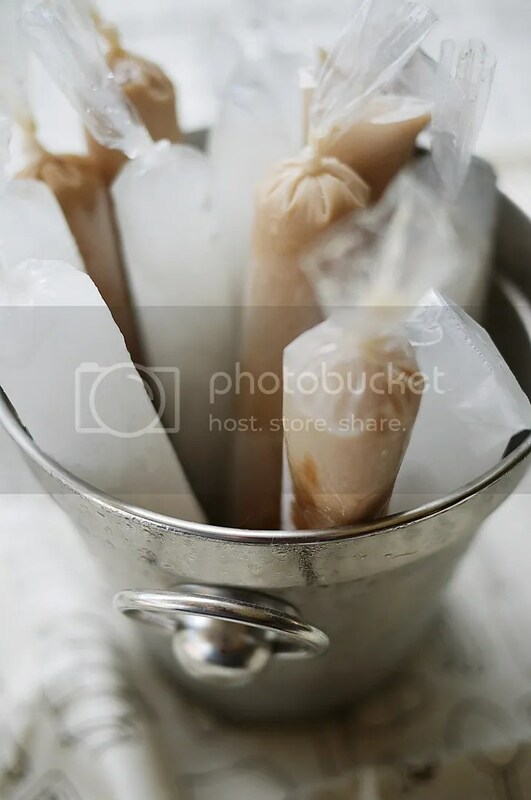 OMG OMG I remember having these popsicles as a kid in primary school but never thought of making them at home and definitely never thought of making the milk tea flavour hehe it looks AMAZING! Thanks for sharing!! Thank you Daisy! 😀 I can feel your enthusiasm from over here! 😀 I hope you can make this soon!